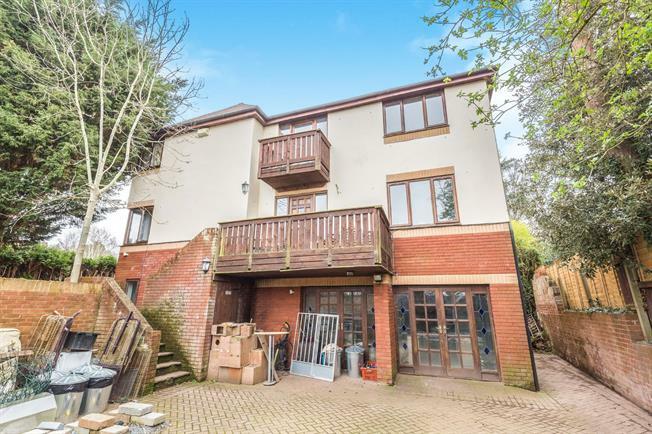 4 Bedroom Detached House For Sale in Bristol for Asking Price £750,000. Set over 3 floors this 4 bedroom detached property offers plenty of scope in a superb location. Securely positioned behind walling to the front there is off road parking and gardens to the side and rear. The internal accommodation consists of 3 reception rooms, kitchen and utility. 4 bedrooms and 3 bathrooms/en-suites. To the lower level what was once the double garage has been converted to a workshop and a further room could act as a useful studio..